The International Association of Emergency Managers has given Transnomis Solutions a merit award for their Municipal511 initiative. 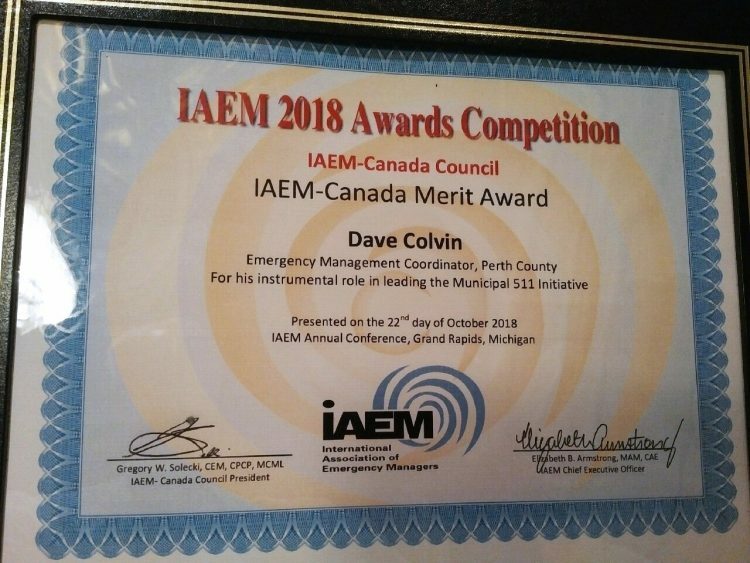 The IAEM Merit Award was created to recognize an individual or organization for having performed a significant contribution to the Emergency Management field in Canada within the previous calendar year. Contributions may include an individual or organization who champions EM, BC/COOP, has developed a successful record or community engagement around the pillars of EM, Health & Environmental Safety, or other programming related to emergency management.